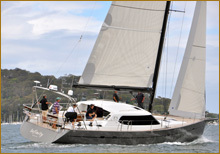 The Buizen 48 has achieved iconic status as a handmade Australian yacht with true integrity. Each example is built to order by a small family company with a rich heritage for fine craftsmanship. 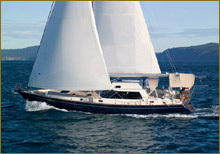 The first Buizen 52 was launched in December 2011 and handed over to her owner in February 2012. Ushering in a new era for Buizen Yachts, the 52 combines state of the art construction techniques combined with a contemporary yet a timeless design and a luxurious fit out and finish that the Buizen reputation was built upon. She really is best described as a pocket superyacht. 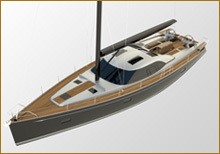 The Buizen 60 naturally retains the pilot house saloon, just a step or two down from the cockpit. It allows panoramic vision of the outside world whilst instilling a feeling of spaciousness one wouldn’t expect in a sailing yacht.